Top Tips for Plucking Eyebrows! 8 Tips for Plucking Eyebrows to Perfection! A lot of people opt for plucking eyebrows because it’s cheap, lasts long enough, and is easy to do at home. But plucking also comes with downers. Pain, ingrown hairs, and over plucking being some of them. Some people also believe that hair will grow back fast and thick, which is not the case when you do it right. Here are some tips to help you avoid all that! A good pair of tweezers will grip on to most sizes of hair, and be easy to hold and pull. So they’ll also help to pluck out thin, short, fuzzy hairs. When plucking, you must know what you want to look like in the end. 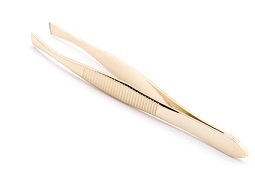 Tweezing can be therapeutic so you must minimize the risk of getting carried away! 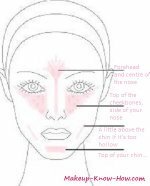 Draw the shape you want with a pencil beforehand according to your face shape. Otherwise, just mark the critical points for a classic shape you can use when plucking eyebrows. Put a warm cloth over the eye area before plucking. The hairs will glide out easily and not break. When hairs break, you have the same effect as shaving. That’s when the hair grows back out within a day, and seems thicker because you cut it off at a thick point. This as opposed to when it grows from the roots, and is maybe even thinner. This is in line with opening up the pores. Warm tweezers will touch the skin, and the pores will stay open. Cold ones will cause them to shrink. When they shrink, pain, and broken hairs may follow. Be careful with the hairs you take when shaping your brows. Each hair matters… Then your shape will be clean and well defined. If you take multiple hairs at a time, you might not notice that you’ve messed up the shape until it’s too late! This way you can avoid breaking them. As you no know, breakage is the same as shaving. It can also lead to more ingrown hairs. No really, this is important… Stop. Do a line at a time, and then stop. It’s so easy to get carried away and end up with pencil thin eyebrows. It helps you get moisturized and prevents the skin from breaking out. Dry skin flakes and can clog up your pores. Traumatized pores get inflamed and need something soothing to calm them down. Try aloe Vera, and tea tree creams for soothing. Now you can start shaping and plucking eyebrows using these tips for better results!